LOW MILES - 29,473! EPA 26 MPG Hwy/20 MPG City! 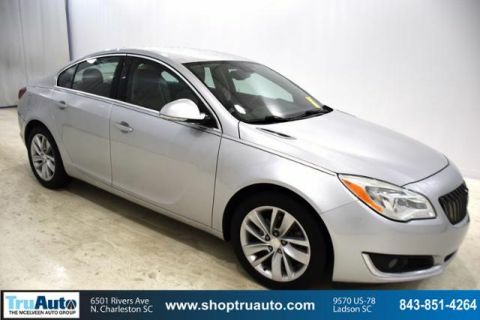 Nav System, Heated/Cooled Leather Seats, All Wheel Drive, Turbo Charged Engine CLICK NOW! Leather Seats, All Wheel Drive, Power Liftgate, Rear Air, Heated Driver Seat, Heated Rear Seat, Cooled Driver Seat, Back-Up Camera, Premium Sound System, Onboard Communications System, Aluminum Wheels, Remote Engine Start, Dual Zone A/C, Lane Keeping Assist, WiFi Hotspot Keyless Entry, Remote Trunk Release, Privacy Glass, Steering Wheel Controls, Child Safety Locks. LPO, MOLDED ASSIST STEPS, BODY-COLOR, AUDIO SYSTEM, BUICK INTELLILINK RADIO WITH NAVIGATION, AM/FM/SIRIUSXM STEREO AND CD/MP3 PLAYER with 8 diagonal Color Touch Screen, includes 2 USB ports inside center console, auxiliary input jack, SD card reader and Bluetooth streaming for audio and select phones, TRANSMISSION, 6-SPEED AUTOMATIC, ELECTRONICALLY-CONTROLLED WITH DRIVER SHIFT CONTROL (STD), ENGINE, 2.0L TURBO DOHC 4-CYLINDER SIDI with Variable Valve Timing (VVT) (252 hp [185.3 kW] @ 5500 rpm, 260 lb-ft of torque [352.5 N-m] @ 2000 rpm) (STD). 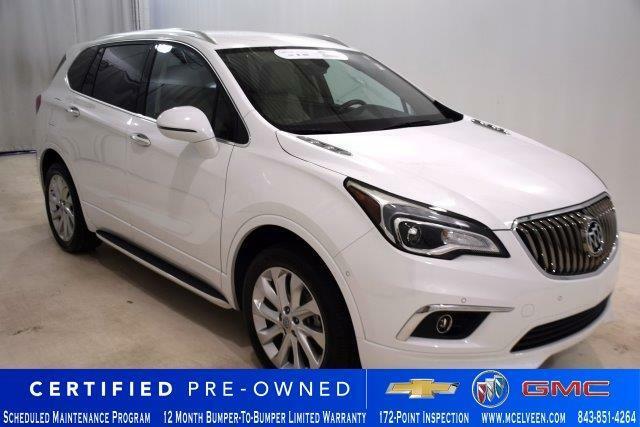 Buick Premium II with SUMMIT WHITE exterior and LIGHT NEUTRAL/EBONY ACCENTS interior features a 4 Cylinder Engine with 252 HP at 5500 RPM*. 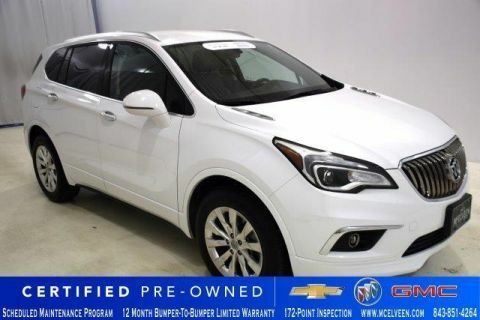 Turbocharged four-cylinder engines are becoming more popular for this class, and the 2016 Buick Envision's is satisfying. It's 252 hp is enough to give you the confidence to easily merge onto the highway and pass slower traffic. -Edmunds.com.